Someone buy this man a sports strap — Jurgen Klopp’s glasses have fallen off again whilst celebrating Sadio Mane’s goal. 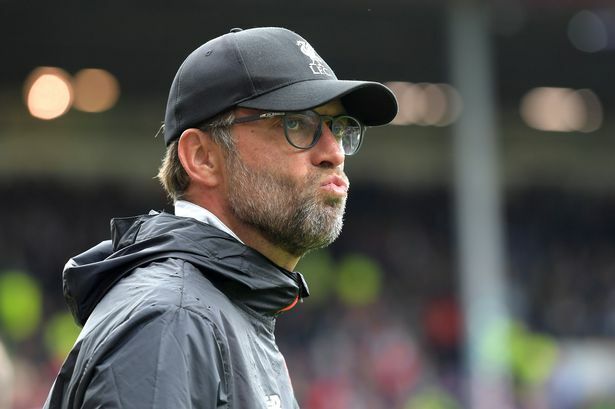 Perhaps that why we ended the summer with a net profit – to make sure we had enough money in the “New Glasses for Klopp” fund? It’s been an encouraging first half for the Reds. We spent the first ten minutes stuck in our own half, but then played some lovely football that saw Roberto Firmino put us 1-0 up after 15 minutes and Sadio Mane make it 2-0 after 31 minutes. The shine was taken off the performance after a disastrous error from Lucas allowed Leicester to pull one back. He inexplicably squared the ball across the penalty area to give Jamie Vardy a simple tap in.